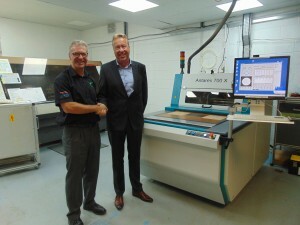 Merlin Circuit Technology continues to develop and invest in the latest X-Ray drilling technology. 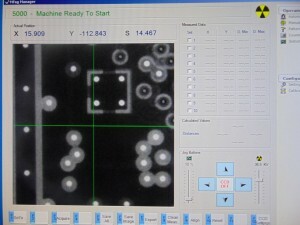 The new Mach3 Lab Antares 700X X-Ray drill, supplied by Adeon Technologies. The new Antares compliments the NC Drill Department which is being updated and improved as tighter hole to pad tolerances and reduced annular ring geometries are now required. The Antares 700X construction and lightweight design with granite base, linear motors and optical line transducers, give the maximum thermal stability delivering improved accuracy and repeatability for precision tooling, optimising the reference holes to the inner layers of multilayer constructions. The Antares offers improved functionality with ease of use for the introduction and modification of X ray programmes. The system has manual controls enabling the operators and engineers to focus the X ray on specific areas where critical registration is required, adjustment of X ray source gives improved image definition for complex and high layer count constructions with varying copper weight. Merlin also operates the Xact multilayer registration software, the Antares system is tailored to output measurement data from multilayer constructions. This enables Merlin to drill with greater confidence predicting material movement, improved yields and achieving tighter tolerances on high layer count and complex builds which are now required in a demanding and fast paced industry.